Are you being bugged? Is someone bugging you? Fed up with bugs? Or, are you just BUGGIN’ OUT? On Monday, December 6 the 2010 Groundbreakers take on this tiny but complex word and deconstruct it for a night of buggy plays. Featuring 10-minute plays by the freshest and flyest playwrights around, Halley Feiffer, Lauren Feldman, Andrew Kramer, Nick Mwaluko, and Leah Nanako Winkler. Directed by Carlos Armesto, Shelly Butler, Shay Gines, Jessi D. Hill, and Tom Wojtunik. BUG OUT! will be on Monday, December 6 at HERE Arts Center (145 Sixth Ave, enter on Dominick Street, one block south of Spring). Doors are at 7:30pm; show starts at 8pm. Tickets are $10 and will be available for purchase at the door. All Proceeds Support the Groundbreakers Playwrights Reading Series in February 2011. Come check it out! These are some AWESOME playwrights, yo! 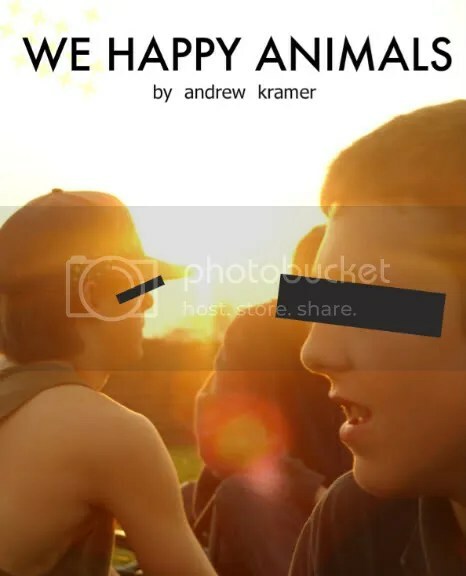 And my play, We Happy Animals, will be performed! Came across this article and having just finished working on the production of The Dog(run) Diaries, I mostly just cocked an eyebrow and wanted to tell him to shut up. I use direct address. A lot. And I love it. As a play goer and play creator, I know when the story calls for it. Yes, I do also acknowledge, the playwright’s desire to talk to audiences via a literal standing and speaking out, can be a way to “cleverly” disguise otherwise difficult challenges in writing…but, I would simply like to say that discussing the “4th Wall” as if it’s a given conceit of the theatre that has always existed (which isn’t, in fact true) or is somehow necessary for storytelling to be effective, makes me cringe. And point the finger to Western-centric narrative constructs that some people feel need to be the precedent for all storytelling. False.